SKU: XL1. 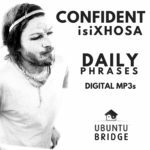 Category: Xhosa Download Materials. Reshaped, re-recorded and honed over 8 years, we present our flagship product. 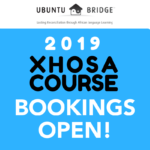 It will walk you through everything you need to know to get you speaking and connecting with the amaXhosa people, showing respect and it will even have you practicing along out loud. 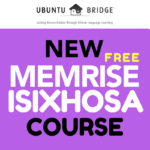 coached by Makhosi the whole way through on cultural awareness, respect, how to identify isiXhosa speakers, and what you need to know before getting yourself stuck, or embarrassed! 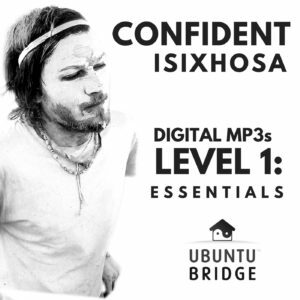 digital equivalent of 2 audio CD’s worth of interactive Mp3 tracks covering the content of the courses, step by step. 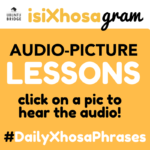 interactive audio means that they leave a space between the English and the isiXhosa for you to pre-empt the answer and then another gap after the isiXhosa for you to repeat the isiXhosa out loud. 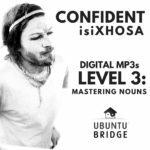 This helps the mind remember phrases, vocab, constructs, but also helps one begin to emulate the sounds and get a feel for the rhythm and sound of the language. – everything required for polite, social and respectful introductions. * DISCOUNTS: We offer students, school teachers and anyone else who is struggling financially, with 10% discounts. 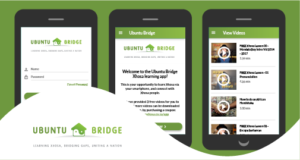 Just email us (sales@….etc) a copy of your Student card, or motivating email and we will get back to you. 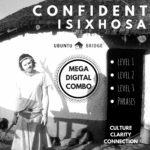 Learn Xhosa Levels 1-3 Digital Combo (includes Daily isiXhosa Phrases) – Save R500! !